Medical Professionals: Visas, Waivers and Green Cards. 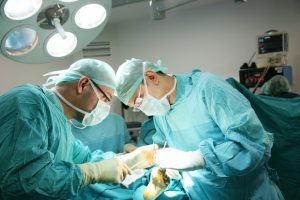 Foreign medical graduates are able to use a J-1 visa waiver, however they are required to leave the United States after completion of a J-1 medical training programs in the U.S. hospitals. Our Firm will assist in applying for such waiver and subsequent work authorized H-1B status and a green card. J-1 Visa Waiver for Foreign Medical Graduates. Most international medical graduates who come to the United States for residency or fellowship training can do so only by means of a J-1 visa. A J-1 visa is issued for the duration of the physician's training in the U.S., for a maximum of 7 years. A J-1 visa allows the physician to work only for the hospital or related entity where he or she is serving as a resident or fellow. At the conclusion of residency or specialty training, the J-1 physician is required to return to his or her home country for two years before the physician can return to the U.S. This obligation is called the 2-year foreign residence requirement and must be fulfilled before a person is allowed to adjust status. Obtaining a J-1 Visa Waiver Of the Two Years Foreign Residency Requirement. Physicians can obtain a waiver of the J-1 foreign residence requirement to enable him or her to stay in the U.S. after completing residency training. A physician can obtain a waiver by gaining the support of a State's Department of Health or Federal government agency by agreeing to provide health care at in a Health Professional Shortage Area or Medically Underserved Area in the United States or by agreeing to work at a Veterans' Administration (VA) hospital. The Federal government agencies that have J-1 waiver programs for physicians who will engage in patient care are the state Department of Public Health, the Department of Veteran Affairs, the Department of Health and Human Services, the Delta Regional Authority and the Appalachian Regional Commission. In addition to the Federal agencies, each state Department of Public Health is also authorized to sponsor thirty J-1 visa waivers per fiscal year through a program called Conrad 30 waiver. Each of these agencies has its own J-1 waiver requirements. However, all agencies require at a minimum that the physician have a three-year employment contract to provide full-time medical care to patients from Health Professional Shortage Areas or Medically Underserved Areas. Obtaining a waiver of the J-1 home residence requirement alone does not allow the physician to commence employment in the U.S. In order to obtain work authorization, the physician's employer must file an H-1B visa petition to obtain H-1B visa status for the physician. Because there are several governmental agencies involved in the J-1 visa waiver and H-1B visa process, it is important to plan ahead and begin the process at least six months before the date the physician intends to begin employment. We advise medical professionals and assist in obtaining J-1 visa waivers, H-1B visas and permanent residency. More information about the government's requirements can be found here.